Designer Marjan van Aubel finds novel applications for dye-sensitized solar cells. 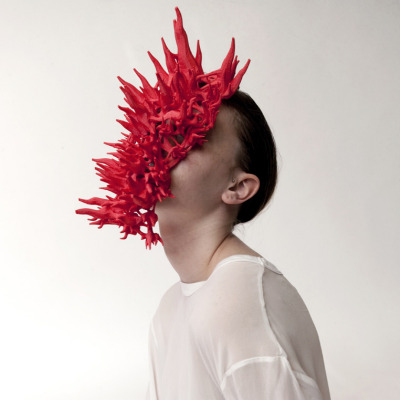 Marjan van Aubel began her love affair with energy-harvesting technologies while studying product design at London's Royal College of Art in 2012. 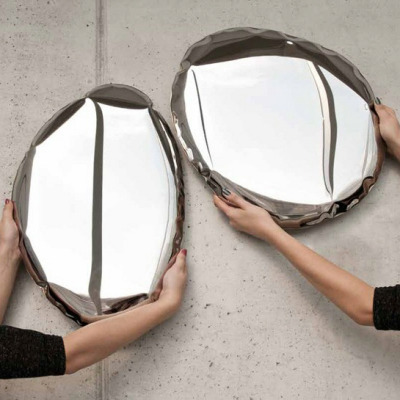 During her studies, the Dutch designer created a collection of solar glassware that collects energy and stores it in a cabinet, as well as a table made up of solar cells that can power devices while you work. 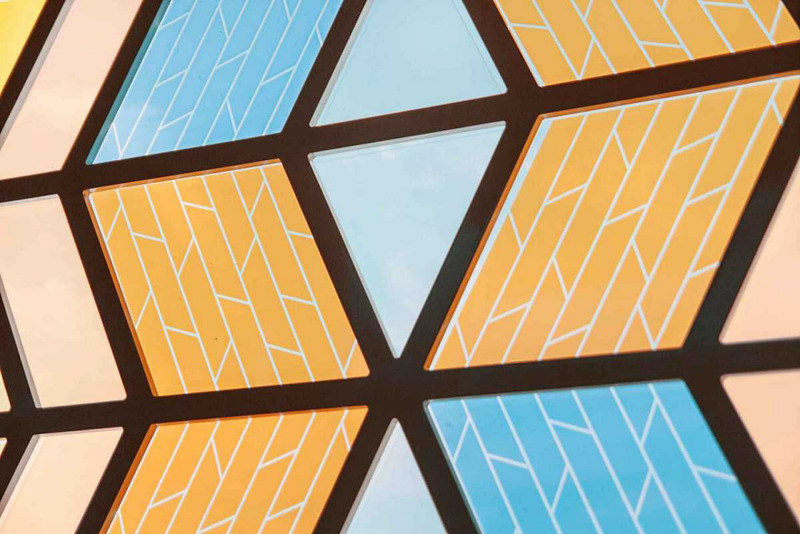 Her latest sun-powered endeavor is a modern take on stained glass, using dye-sensitized solar cells (DSSCs) to bring new utility to the Medieval-era art form. DSSCs are relatively inexpensive compared to other solar cells on the market, starting at around $200 each. The name comes from the organic dyes used on their surface, which are available in a range of colors and which allow the cells to convert light to energy in the same way that chlorophyll does during photosynthesis. The cells are made up of a permeable layer of titanium dioxide nanoparticles, which is then coated with a layer of organic dye to absorb sunlight. As sunlight passes through the cell, it hits electrons in the dye that flow to the nanoparticles. A transparent electrode on top collects the energy and sends it to a battery for storage and eventual use. While most people are drawn to DSSCs' low cost, van Aubel was fascinated by the material's colored properties. "I think solar cells are quite ugly, and we don't want to live with them," van Aubel says. "Most people, on their roof, they don't want to see that. That's why I think it's really important to think aesthetically. How do you want to live with these technologies and integrate them into our daily lives?" Both van Aubel's Current Window and her earlier Current Table use orange-colored cells, chosen for their reliability and steady harvesting of energy over time. Picking the color is the easy part. 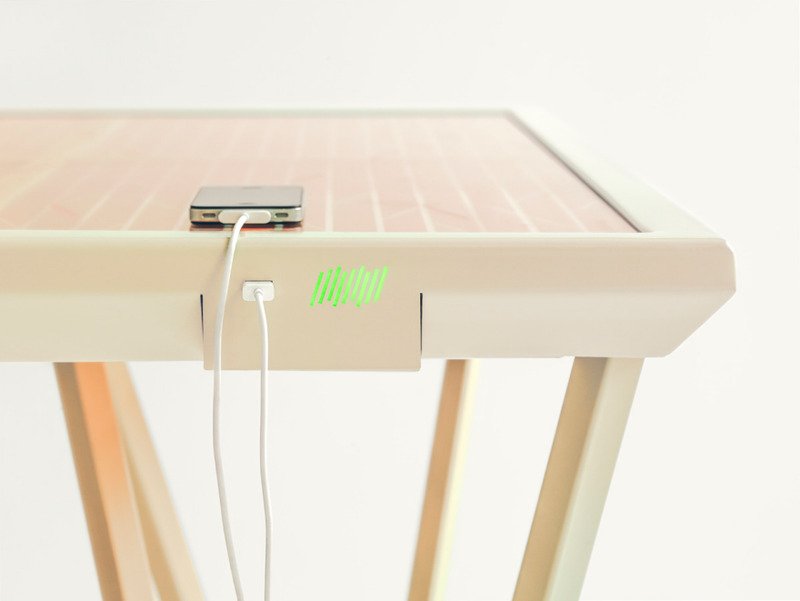 "The solar cells have to fit in this frame and then there had to be a battery," van Aubel says. "It's a quite nice challenge. For me, it is a bit like a puzzle to make all these elements you have to work with come together." Aubel describes the wiring process, however, as "actually quite straightforward." Each panel has an anode and a cathode that all wire to one battery source. "So you just make enough space for the wires to go through," she explains. "The size of the battery partially defines the [frame's] shape and how much energy you can store." Van Aubel doesn't go at it alone, however. The designer is very quick to thank her collaborators, a slew of scientists, designers and manufacturers who help her realize all of her projects, like Instrument Product Development and Kudu design studio in London. 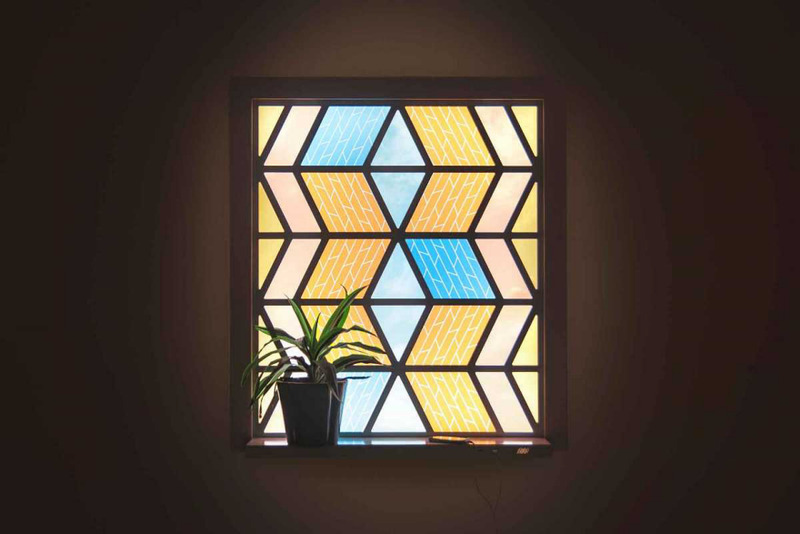 The stained-glass pattern, for instance, was produced with the graphic designer Marine Duroselle, who helped create a delicate balance of aesthetics and function—designing the stained glass pattern to have as many cells as possible while still achieving an eye-pleasing arrangement. "If you want to make the solar cells, you have to understand that the more you take out, the less efficient it will be, so there has to be a nice balance of making it aesthetically nice and also working efficiently," van Aubel says. For the solar-cell manufacturing, van Aubel turned to Solaronix, whom she first contacted while a graduate student at the RCA. "I think it's easier to get into things if you're a student," she says. "I just called them up and I went to work in the lab to visit them. We've been working together for three years now." For each of her projects, van Aubel has also had to manufacture custom batteries for her specific cell configurations. 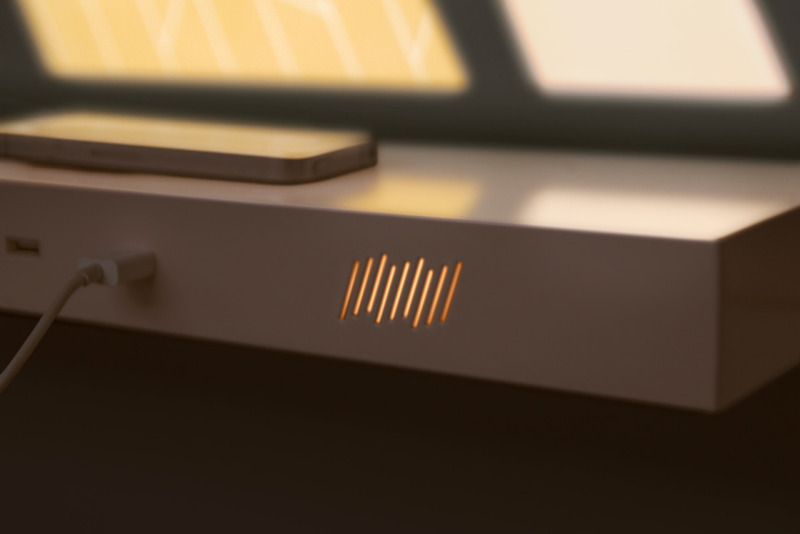 On the Current Window, harvested energy is stored in the window's ledge, which also houses a few USB ports for powering small devices. (An indicator light lets users know how much power is available.) Unfortunately, even small devices will drain the battery pretty quickly; while DSSC technology has come a long way, it's still fairly inefficient. 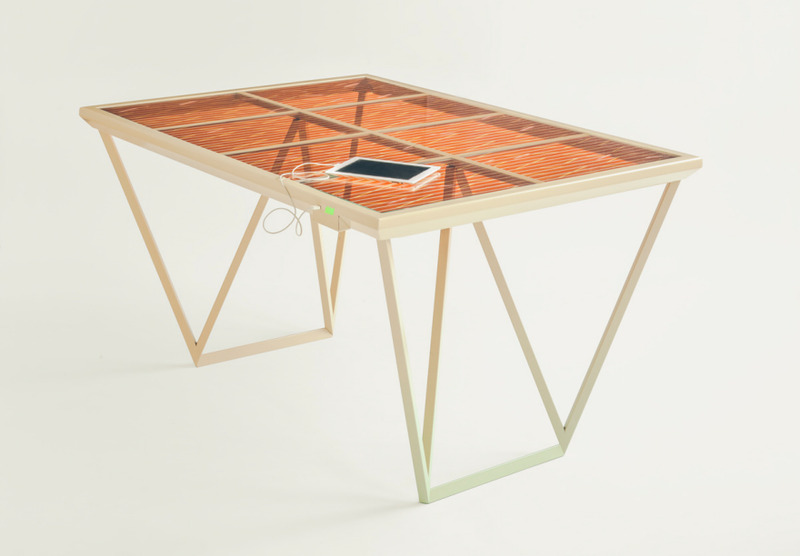 With both van Aubel's Current Table and Current Window, for example, it takes roughly eight hours of indirect sunlight to fully charge all of its cells, equivalent to about two cell phones' worth of battery life. Van Aubel would love to see the technology advance to allow her to power larger devices; she envisions her tables and windows being used in libraries to power users' laptops and tablets, possibly even through induction. And she's not the only one who is optimistic about this kind of scenario. Recently, van Aubel was approached by Cognicity, a London-based accelerator, which wants to help grow her solar projects into a business. She just brought on a partner and started up a company called Caventou to develop her Current Table further. Van Aubel is now in the process of designing a version that could be mass-produced, and has hopes to bring it to market for less than $5,000. Naturally, van Aubel is excited about the future of solar power, arguing that once these kinds of energy-harvesting products start to make their way into people's daily lives, the technology will improve rapidly. "That's what I think the role of designer is as well—to make that bridge between technology and the user," van Aubel says. "I try to be the human aspect of technology a little bit." 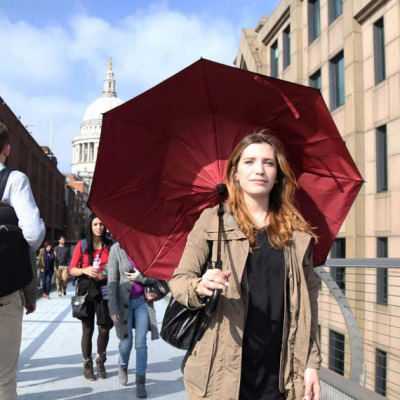 We talk to the inventors of the inside-out KAZbrella, now funding on Kickstarter. 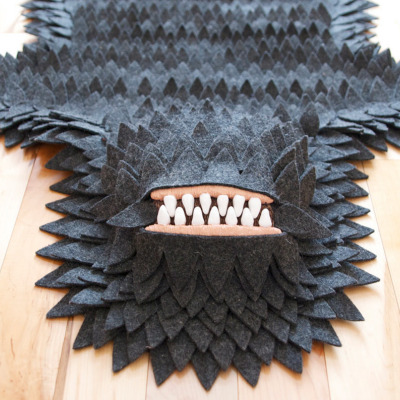 Joshua Ben Longo on what it really takes to crowd-fund and mass-produce a terrifyingly cute area rug.